So, I made a worm gear using this tutorial (I couldn't have done it without this). I'm hoping the worm will deliver enough drive force to turn all the snail cams and lift the weights. So I checked the worm with the gear I made and it turns the wrong way. I'll have to do it all again. At least I know the theory now.The next stage had it been correct would to have been to sand it down. I've also been putting my new tube benders to use and now have some nicely bended brass tubing. The string flows smoothly through it now. Hopefully this will mean less friction is generated so I can use smaller weights. 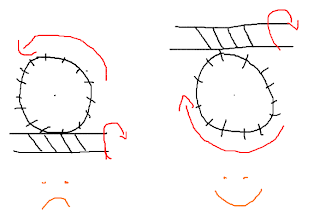 UPDATE: After coming home after a night out, I started messing around with the worm gear and found that if I turn the gear at the bottom of the spur gear it would turn the spur gear anti-clockwise. 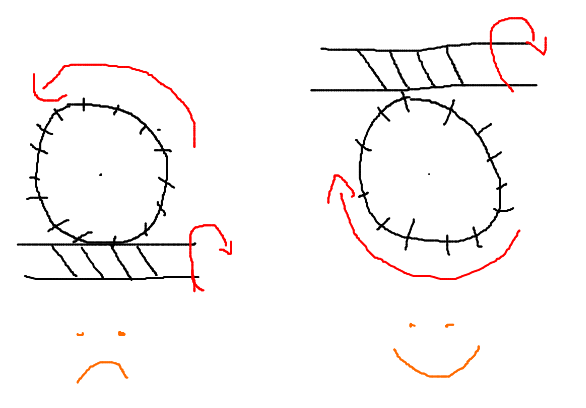 However, if I move the worm gear to the top of the spur gear, it moves the spur gear in a clockwise direction. This means that with a small change to the design, I can still use the work gear I have made. I'm a bit too hungover to work out why it does this but I am happy with the outcome.